We had the pleasure of chatting with Magali of Beau Est Mien, located Northbridge, Perth, discovering how she went from from social psychologist to successful shop owner! 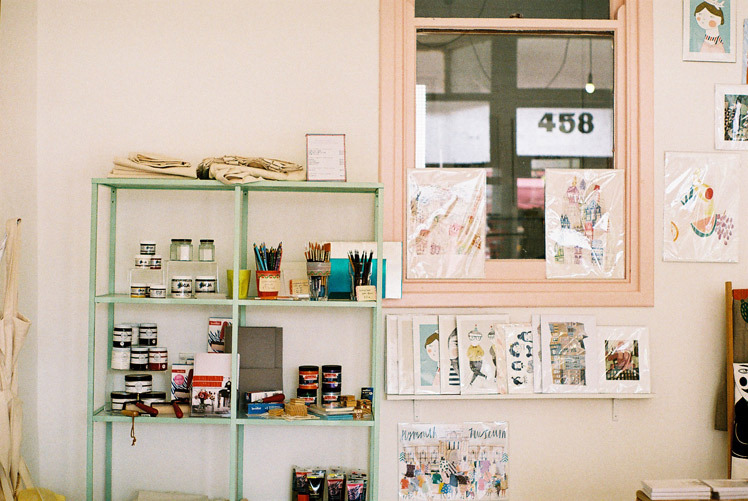 Read on to learn more about this inspiring creative space, and head to the Beau Est Mien’s website to book into one of their upcoming workshops. Tell us a bit about Beau Est Mien and the concept behind it. Beau Est Mien (‘Beautiful Is Mine’) was originally just a little brand that I started in 2008. 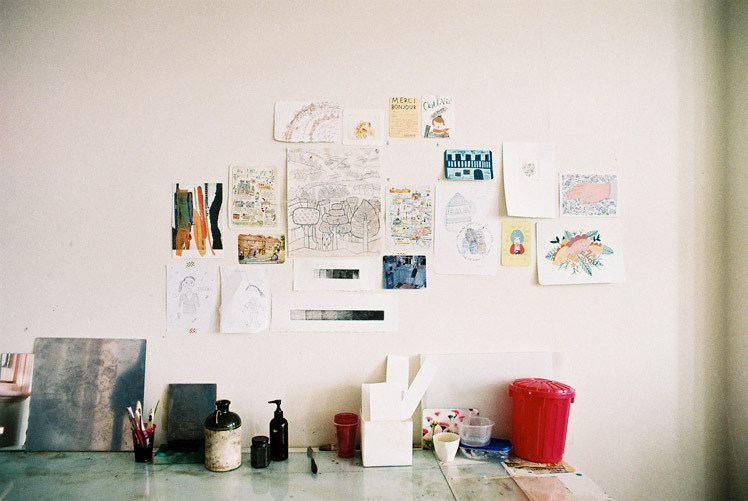 At this time I was based in my courtyard studio where I started creating products like limited edition prints and stationery. 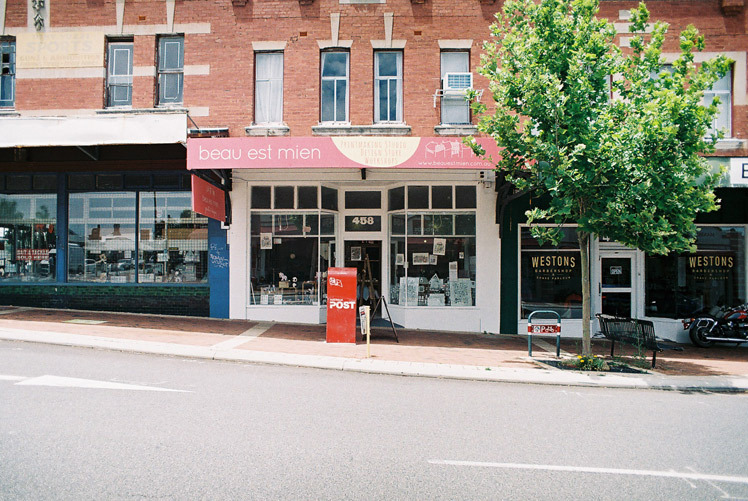 Since then, Beau Est Mien has not only become a company with its own products, but also a shop space in Northbridge offering a variety of services and print making workshops. We sell my products but stock our favourite artists’ and designers’ products as well. 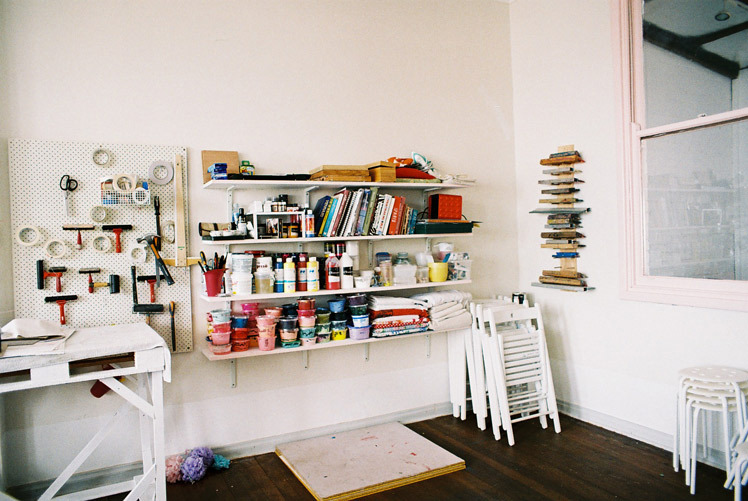 Upstairs we have a studio where people can be creative and make their own work through our workshops as well as our studio access service. In Perth it can be difficult to find affordable spaces to be creative, so lots of people start out by juggling a day job, while working on their creative projects at home. This is why we also work with local makers to support them and to give an identity to their products. So Beau Est Mien is a place where we can showcase and launch other people’s things. I’ve got a background in social psychology, so I’ve always wanted to make people’s lives happier. When I was in France, I worked as a town planner and community worker, where I was paid to motivate people to work together on common projects. As you can see I don’t really have an arts background, but I’ve always been interested in arts because art is about creating. To me everyone is creative. Moving to Australia has lead me to where I am now; I would have never dreamed of becoming a print maker and running my own business like this! What we can expect to find at Beau Est Mein, what products you stock and workshops you run? When you come into Beau Est Mien you’ll be greeted by the shop, where we sell stationery products, homewares, gifts and jewellery. 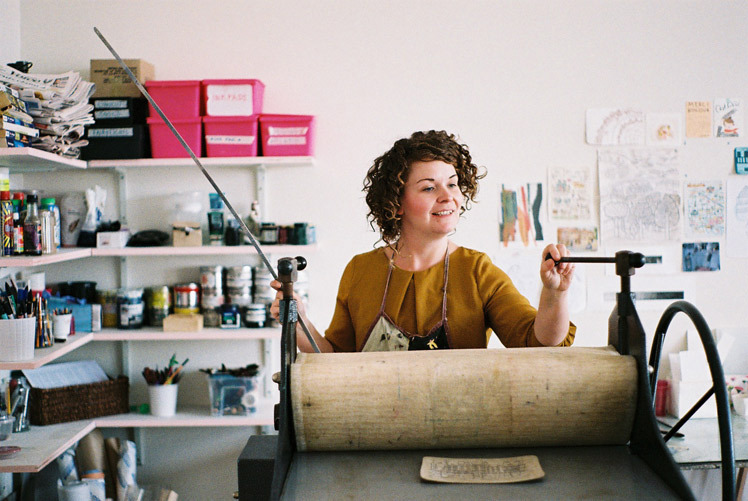 We introduce ourselves and printmaking to the people who come in because they often think we’re just a shop, and don’t know anything about our studio space, which can be used for birthday parties, opening events and to launch products. We program our workshops seasonally so there are always fresh and exciting skills to learn. I love the relationships with the people who work here, and the customers who come to the shop and visit us. What I like about the shop is its proximity to the city, in an area where there are lots of exciting and creative things happening. I like the fact that we get lots of support from the community here and appreciate the opportunity to meet people who I wouldn’t have had the chance of meeting if I had stayed in my courtyard studio. I’m inspired by the places I visit, living and experiencing life in other cities and getting out and seeing what others can do. Seeing how amazing people can be is really inspiring. Who are the team behind Beau Est Mien and what are their roles? So we’ve got me, the creative director and head honcho of the company – I’ve got a very diverse role which covers business development, thinking of new ideas and new projects to achieve, motivating the other staff members who work here, looking after the shop, teaching, and of course paying the bills. My husband Erik is involved but isn’t officially employed; he’s a great web designer who helps us with our website, poster design, logos, and building furniture! And then there’s Alina, who has been working with me for 4 years and who knows a lot, so she does everything; teaching, managing the shop, sourcing products, looking after customers. She also gives me advice on the creation and production of new products. Our shop assistants are Johanna, Carly and Pandora, who also help out with workshops. We’re very grateful to have two volunteers at the moment – Amy and Kali – who help us out in the studio with all sorts of little jobs! 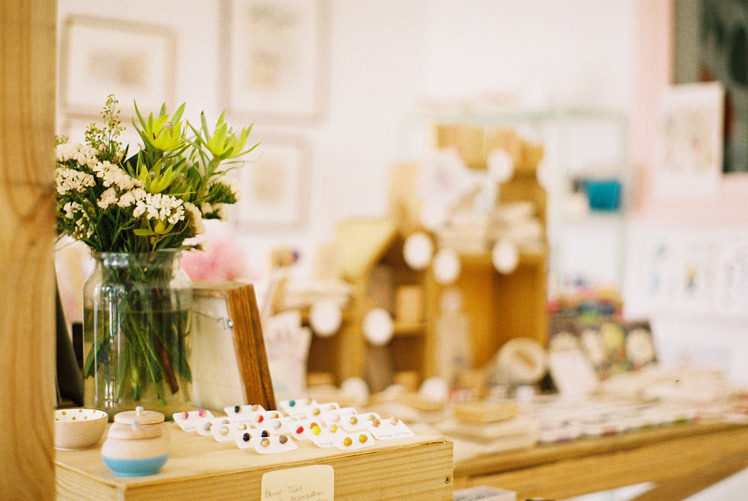 How has the shop evolved over time and what have valuable lessons have you learnt about running your own business? Beau Est Mien has grown up a whole lot over the past year and a half! From working as a one-person operation to expanding into a complete team and a bricks and mortar store has been a huge change which I’m still learning how to cope with. I’ve learned that it’s super super super important to have time off. For your own sake, but also having time off gives you space to be inspired by other people. 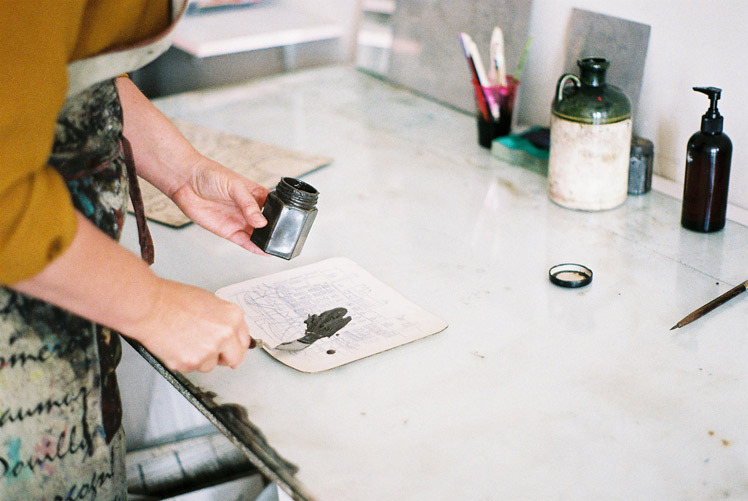 It’s about finding a nice balance between your work and personal life. What new projects are you working on for Beau Est Mien for 2015? In 2015 Beau Est Mien will officially be turning 1 year old! We’re so happy to have made it, and as usual we have a lot of projects to keep us busy. The whole team will be focusing on making new products, to bring Northbridge some more local and unique handmade goodies. In addition to this, I will continue to do commissioned works such as wedding invitations and original artworks; it’s so wonderful to be able to interact with the customers directly and make something precious for them. Our studio will also be receiving some love. We’re planning on revamping it so that it is more organised, professional and practical, but still cute of course! Lastly, we are really excited about developing a ‘featured maker’ program, which will give emerging local artists and makers a home to launch and display their products. We feel incredibly lucky to have such a wonderful space, and we’d like to share it with other creatives in the area so that the community is exposed to more and more local products. 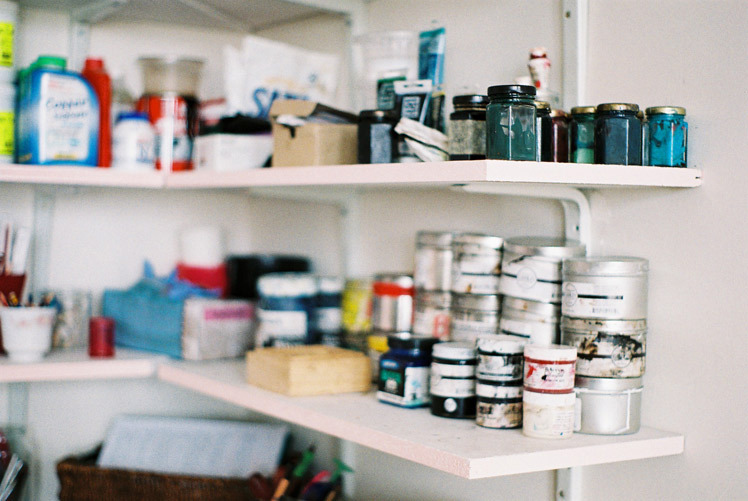 Image credits: photos by Rhianna May, originally taken for Duke Street House blog. Hi Magali! 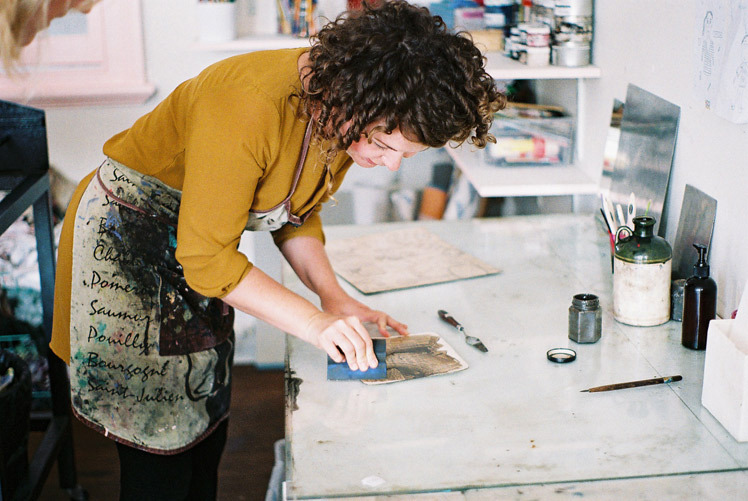 What a beautiful interview and sooo nice to see your print shop, looks amazing!